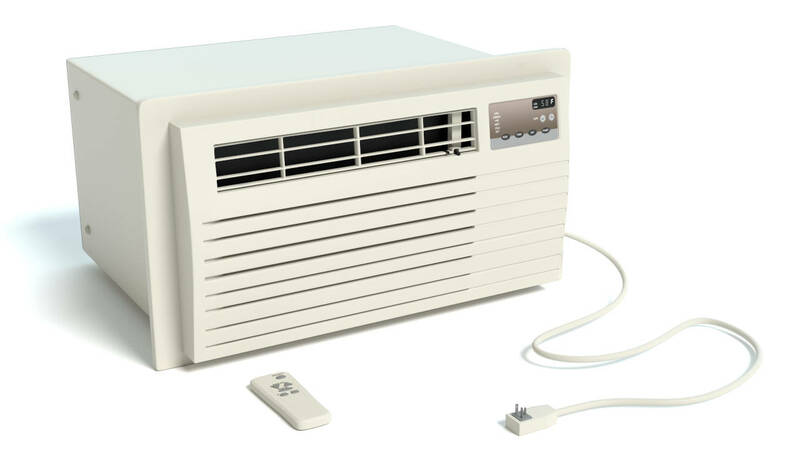 What Size Window Air Conditioner Do You Need? Enter the length and width of your room to find the right sized window air conditioner to comfortably cool your space. Our calculator will recommend the number of BTUs needed to cool your room and will recommend an air conditioner that is the right size. There are many window air conditioner models and sizes available on the market to help cool your home, but choosing one can be quite confusing if you don’t know what size you need to cool your space. Choosing the right sized air conditioner for your room is very important. There are many factors to consider when sizing a window air conditioner. The main factor is the size of the room. The size of the room is the main factor in choosing a window air conditioner size. The chart below from Energy Star shows how many BTUs are needed for a given room size. BTUs of cooling needed to condition various size rooms. These air conditioner sizes assume a ceiling height of 8ft, if your ceiling is higher than 8ft consider increasing the size in BTUs by 10% to account for the added volume of the room. If the room gets a lot of sunlight it will require additional energy to comfortably cool the room. Consider increasing the size of the air conditioner by 10% if the room gets a lot of sun. Kitchens require much more energy to cool and require a larger air conditioner. Appliances add a lot of extra heat to a kitchen, making them tougher to cool. Consider the added heat of the oven or stove on a warm day. When cooling a kitchen, consider adding an additional 4,000 BTUs to the size of the air conditioner. Body heat can warm a room significantly. The estimates above assume 2 occupants in the room. If your room has more than 2 people on a consistent basis consider increasing the window air conditioner size by 10% – 20%. Window size can dictate how large of an air conditioner can be added to a room. If your room has windows that do not allow for the right sized air conditioner consider using 2 smaller units if your room has 2 windows, or consider an in-room air conditioner instead of a window unit. Larger window air conditioners require more power. Some units require special outlets, while others require more current to the outlet. Consider the amount and type of power available to the window and choose an air conditioner that will work with the existing wiring. If you’re unsure what your electrical requirements are, consider a consultation with an electrician. It’s important to also consider the operating cost of an air conditioner. Larger appliances consume more electricity and thus will cost more to operate. Use our electricity cost calculator to estimate how much it will cost to run the appliance. If your sizing a heating system, check out our heating system BTU calculator.